October will host another chain special, with a sweet prize awaiting you at the end of the month! Just like in September, every weekend special in October will have a dedicated mission. If you complete it, you will get a mission token. Although this time there will be no fail-safe options in the Premium Shop, the good news is that you will have to complete only four special weekend missions out of five available during this month to be able to claim the reward! There is no set order for obtaining the tokens, which means that it’s entirely up to you on which weekends to pursue the tokens. As long as you have at least four mission tokens by the end of the month, you will get the reward. 3 October is the day when Germany celebrates its reunification and for the occasion we have prepared a special offer! 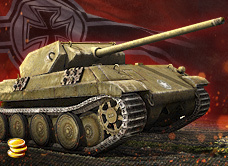 Use this opportunity to get hold of the Panther/M10 - a unique vehicle that is no longer available for regular purchase. Get it while you can - who knows when and if it will be available again? 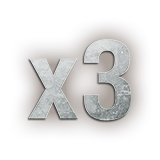 Be in the top 5 players on your team by base experience earned (bonuses for the first victory, premium account, etc., will not be counted to determine the rankings).